The new window displays are up and the DME staff is loving the theme, because it was inspired by them! 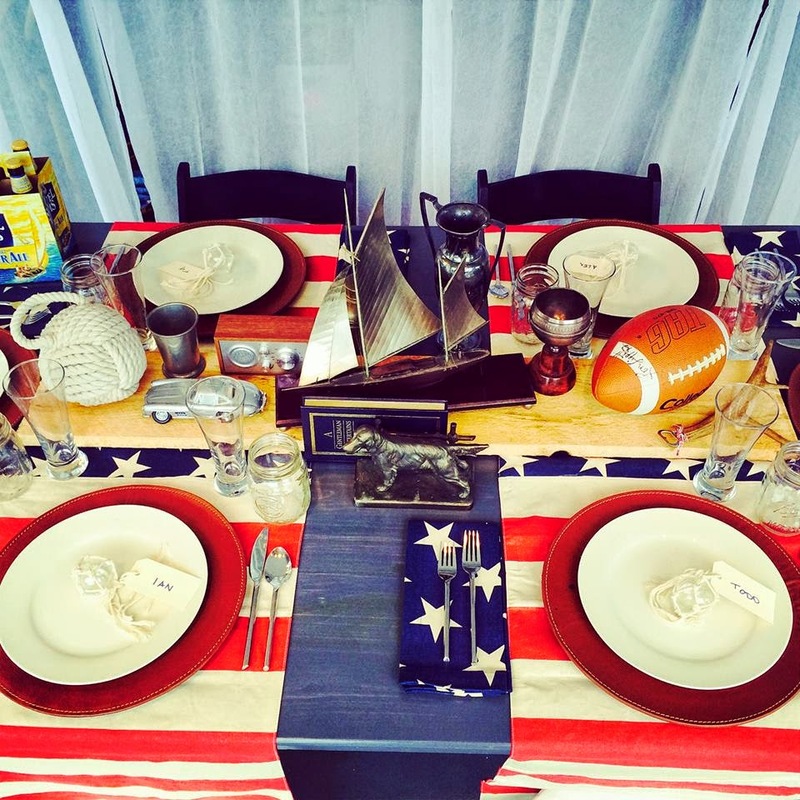 Each table represents our fabulous ladies and gentlemen that make up the our incredible staff all while including the patriotic theme of this past weekend. 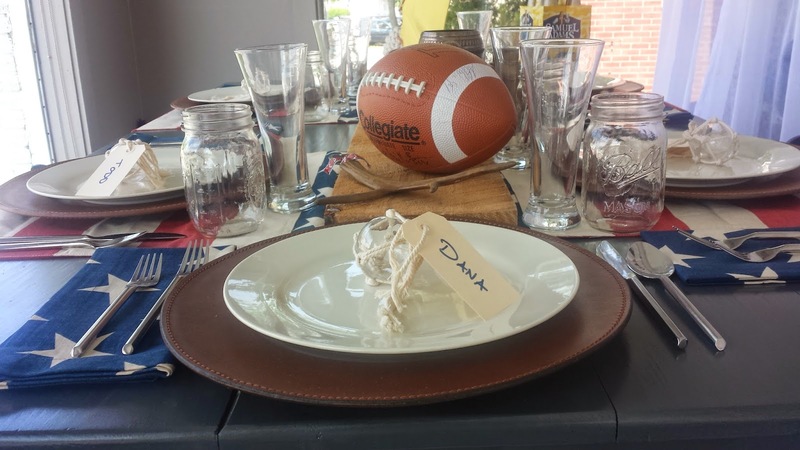 For our gentlemen's table, instead of using a floral centerpiece, we wanted to include items that are near and dear to our staff like their old trophies, childhood toys and of course beer. Look at those American flag runners aren't they great! 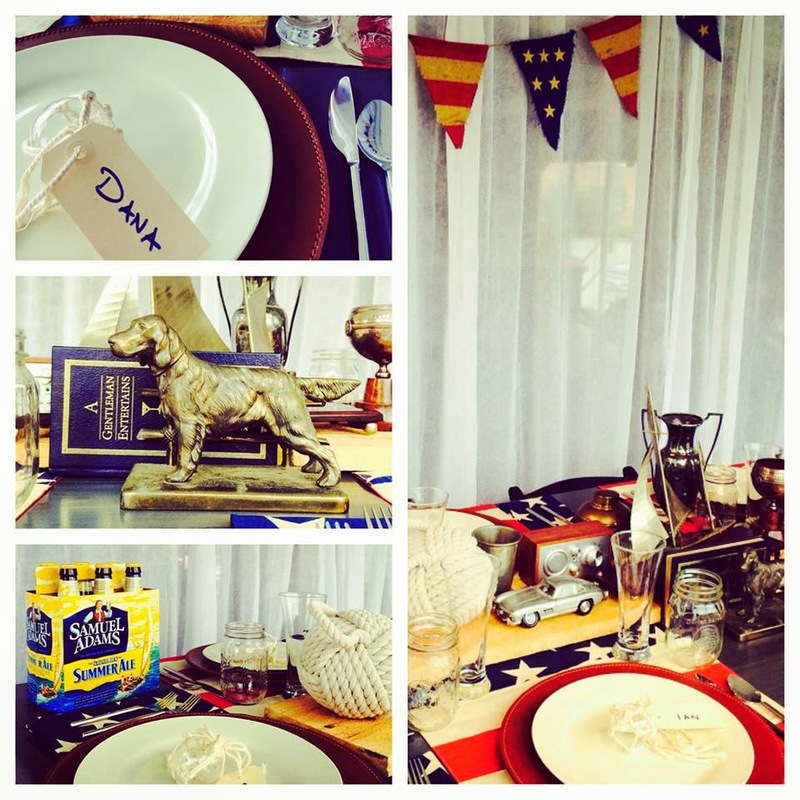 Instead of using one long runner across the farm table, we used four runners to create a personal place setting so that each person has their own individual flag. These awesome runners and napkins are from Pottery Barn! 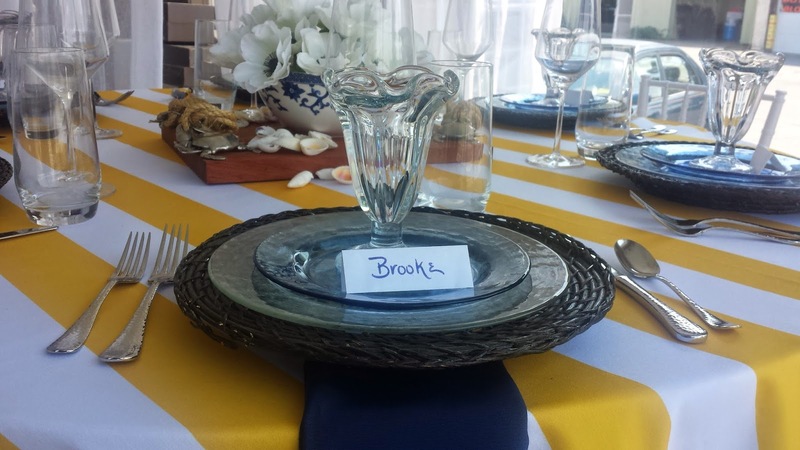 The dinner plate sits on a cool leather charger with a place card attached to a glass buoy in the center of the plate which ties in the guys love of boating. A pilsner and mason jar are used for the boys to enjoy an ice cold Sam Adams Summer Ale. 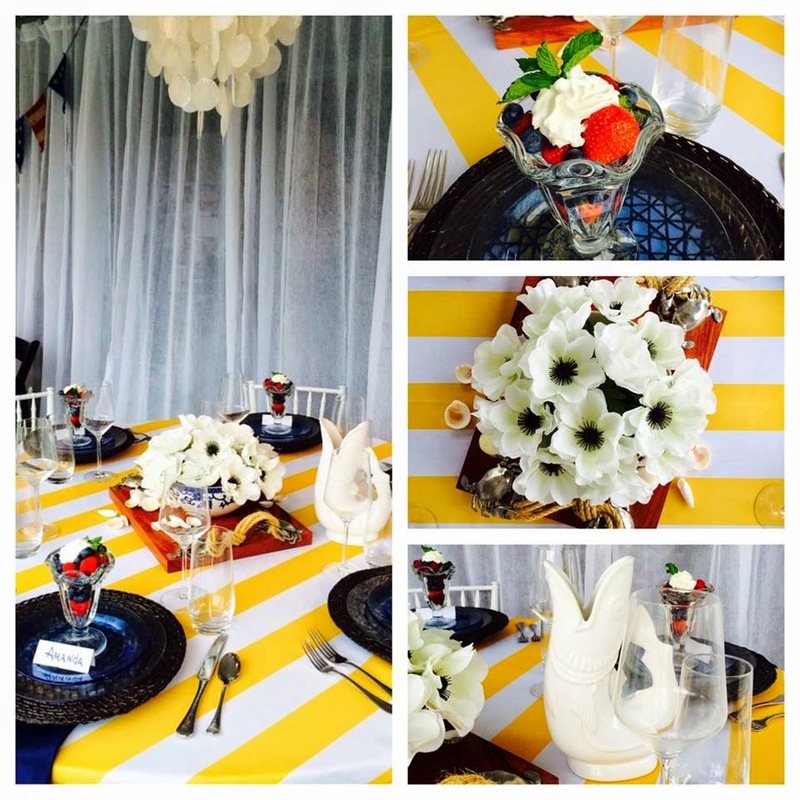 The amazing farm table and place settings are courtesy of Rentals Unlimited. Now for the DME ladies inspired table, simplicity is the key. 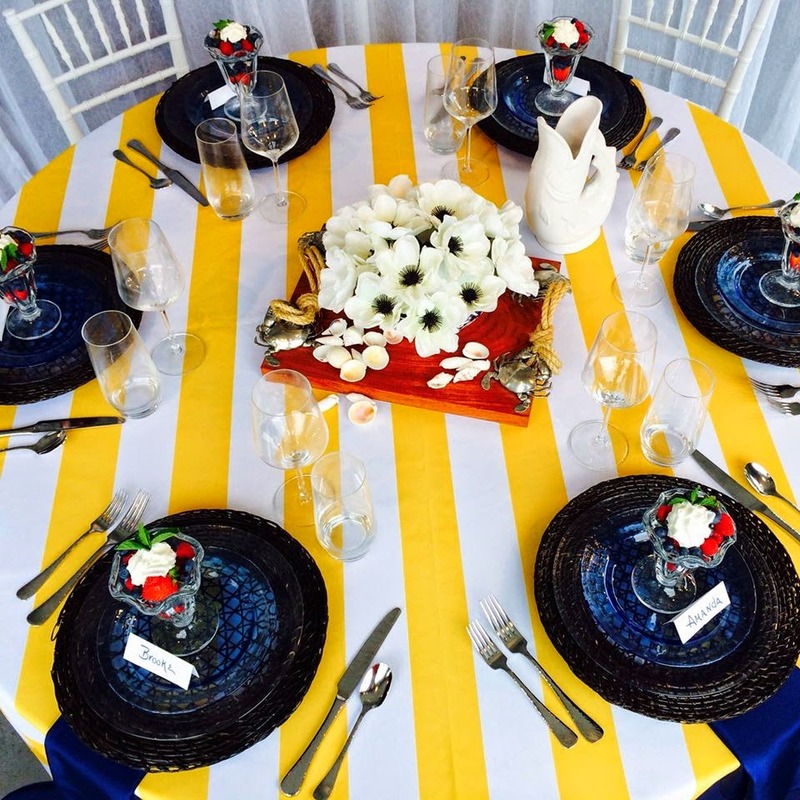 The classic yellow and white striped table linen is complemented by the navy napkins that hang over the edge of the table give the perfect accent color to the bold linen. Again the linen and place settings are from our friends at Rentals Unlimited! Clear glass plates are placed on top of a dark rattan charger which gives the table texture and completes the overall look that the DME ladies love! Stop by the Dana Markos Events studio to get a closer look at these incredible displays and let Daniel know you love them as much as we do! Great job Daniel! Wow.. beautiful this is Wonderful Information.. very nice. I am very Happy to Read this post. Great Thanks..